The materials on this page are links to other websites, mainly on Youtube. There are a lot of documentaries on the web that are very interesting. There is so much, that it will cost some effort to find the documentation that really makes a difference. The videos listed are really scientific productions, so don't expect the normal personal opinions. Please view the materials in the following order in this page if you are new to the subject. It will help you to find the amazing answers to fundamental questions. Lesson 1: Does water have a memory ??? Jaques Benveniste was ridiculed on this theme worldwide, due to mistakes he made with the setup of the test. 1. Read the "Water Memory" article on Wikipedia. You will see that the current opinion is to ridiculize this idea. But the story continues. We will see in the next step a video with unexpected situations. Strange effects of unseen properties of ‘simple’ water. Water drops that are drying will form patterns that depend on the person or additives. Water that forms an electric pathway when a certain voltage is applied. Water purification techniques built on electromagnetic frequencies. They confirm that there is less rust in the pipes. Bread bakeries confirm that improved water qualities did support the quality of the yeast cultures and bread. This documentary is produced with scientific background information. No predefined opinions, but solid conclusions. 2. 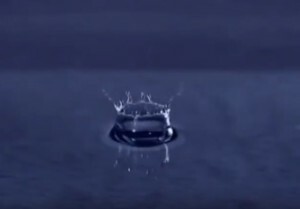 Now: Watch the Youtube documentary video: “The memory of water.” Runtime about 48 minutes. 3. Watch the Youtube documentary on the magnetic structure in water molecules. It has effect on everything that contains water, like our body and ofcourse our brain. 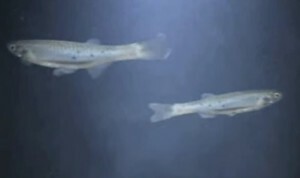 In this film the colours on fishskins can change, depending on the influence of frequencies in water. Amazing film! Lesson 2: Can we transfer DNA through a wire ??? 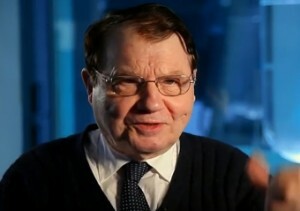 The next step is a another documentary about Prof. Luc Montagnier. As we have seen in the previous lesson, water has memory. Luc Montagnier goes a step further. There was a war on the effectiveness of homeopathic dilutions in the media. Homeopathy was rejected as nonsense, because of the absence of any molecules of the original substance in the extreme dilutions. Montagnier did the following. He isolates a pathogen, lets say a virus. Than he makes a series of dilutions and does a test on electrical emissions. Surprisingly enough he is able to digitize the signal in dilutions like D6 ~ D12. The signal was above the noise ratio. Which means already a triumph. Jaques Benveniste was tricked by a magician for the same idea. Worldwide the homeopathy was put under the blanket of stupidity. But Luc Montagnier comes with a revenge, and goes a few steps further. He was not only able to analyze the virus signal in the dilutions. He digitizes the signal and electronically sends the signal over the internet to another laboratory. They resonate the signal into a new tube filled with water and inject it into the cellular tissue in the petri disc. The cells begin to reproduce the original viral DNA. When put under the ultimate test he brings the sample of the tissue in the PCR machine to identify the DNA fingerprint and finds the DNA of the original virus. Conclusion: water can resonate in extremely small clusters, saves the signal in the memory and triggers the cellular production machinery for the recreation of proteins and DNA. The signal can run over the internet. Scientific fact. Now watch the Youtube video: "The Memory of Water - by Prof. Luc Montagnier" . Runtime about 51 minutes. Lesson 3: Are we biological systems that listen to Quantum Mechanics ??? Photosynthesis is depending on Quantum biology. The vision in the eye, the magneto reception in animals, enzyme activity or the odor sensibility are under suspicion of quantum biology. Sharks can detect the electromagnetic field of a very weak signal, like the electrical pulse of the heart of their prey. The weakness of the signal is less than one millionth of a volt. They can also detect changes in the geomagnetic field. 1. Read the 9 pages document of the Bennington University on "The Sharks Electric Sense" . 2. Read the NCBI document about the "Sharks can detect changes in the geomagnetic field" . Did you see StarTrek? Doctor McCoy can heal someone in a minute with a remote control. Nonsens you would say. But a new dimension in the science is telling us that biological systems are under control of quantum mechanics. Albert Einstein, Max Planck, Niels Bohr, Erwin Schrödinger and other scientists of the last century did remarkable discoveries. Matter is a wave function. That wave is a probability wave. A particle can be at multiple locations at the same time. If you change the property of a particle, the property of the antiparticle will change at the same time, although at a remote distance. At the same time means: faster than the speed of light. 3. Now you are ready to watch the Youtube documentary film on "Quantum Biology" . Runtime about 50 minutes. 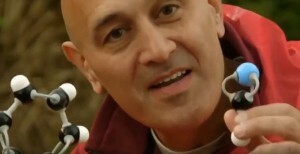 Presenter: Professor of physics Jim Al-Khalili. Lesson 4: Can EMF's damage your brain? Yes they can. See for yourself: The microscope shows the damage in research of a brain surgeon Dr. Leif Salford. Watch that video. If not convinced, please continue with the talk of PhD. Olle Johansson. Beneath is a screenshot in the video of Dr. Leif Salford, showing the braindamage in rats after exposure of EMF. The amazing point however is not that the damage is related to the high level of signal strength, but in the level of a few milliwats/kilograms of bodyweight. The video show the damage after a long time period after the exposure. Click on the photo to see the Youtube video. Take a look at the website of Magda Havas PhD, where she explains the health issues after exposure of EMF. Even more scary is the interview with former British agent MI5 PhD. Barry Trowers. He explains that there exists a list of dangerous frequencies that can make people tired, sick or even into a total psychic breakdown. Athletes can be influenced by giving them a frequency that stimulates adrenalin. Want to know more? Watch it! Runtime 1.09 hours. Lesson 5: Do "biophotons' really exist? In a short answer: "Yes they do". In the Netherlands there is a laboratory with the name "Meluna Research" in the city of Amersfoort. See melunaresearch.nl. Leading researcher is Roel van Wijk. He makes photographs with extremely sensitive camera's in the absolute dark. The camera's registrate the light of growing plants, animals and humans. Hands will light up at the fingertips like candles. In his book he explains the fysical processing in the living cells. 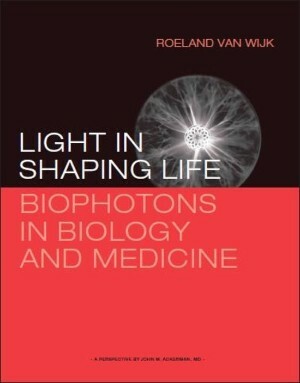 The title of his book is: "Light in shaping life - Biophotons in Biology and Medicine" and is available at bol.com. This book is written at academical level and readers should have an understanding of natural sciences. This gives the scientific support of the idea of Bioresonance. Bioresonance is the therapeutic implentation of frequencies that support health. This book is far out the best at the current time to explain in the origin of biophotons in detail. Current price is around 70,- euro's and that is a fair deal compaired to the enormous research work done and even compaired to the price of a single seminar day. The first discoverer of the photonic activities of living cells was Alexander Gavrilovich Gurwitsch (see Wikipedia) living from 1874 to 1954. His work was ridiculed for a long time, but time rehabilitated him. There is a well documented list of research that was already done in history. Please go to the following link. The Integrity Research Institute documents historical facts on the topic of inventors that created machines with the aim of curing people. There problem in most cases is that a frequency cannot be patented, so the industry is not interested and prefers to forget the data discovered. One of the persons that really was a genius, was: Royal Raymond Rife. Wikipedia has the following to say about Rife. 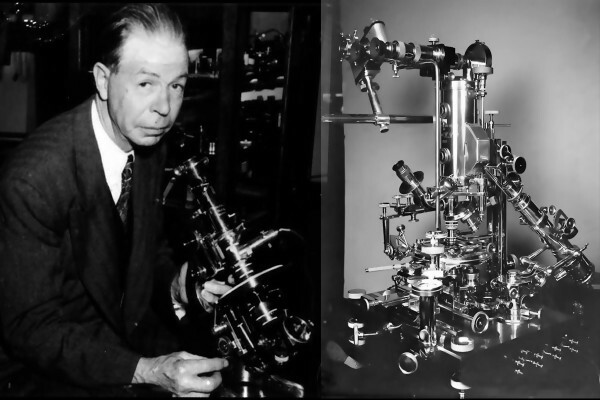 "Royal Raymond Rife (May 16, 1888 – August 5, 1971) was an American inventor and early exponent of high-magnification time-lapse microphotography. In the 1930s, he claimed that by using a specially designed optical microscope, he could observe microbes which were too small to visualize with previously existing technology. Rife also reported that a 'beam ray' device of his invention could weaken or destroy the pathogens by energetically exciting destructive resonances in their constituent chemicals. Rife's claims could not be independently replicated, and were discredited by independent researchers during the 1950s. Rife blamed the scientific rejection of his claims on a conspiracy involving the American Medical Association (AMA), the Department of Public Health, and other elements of "organized medicine", which had "brainwashed and intimidated" his colleagues." On Youtube a very interesting video was published on the story of Royal Raymond Rife. With the help of the newly discovered archives, the complete story could be reconstructed. Please watch this documentory film and draw your own conclusions. The Youtube video in the link has some text in another language than english, but the spoken language is english and still of some value to discover what happened in history. Some other historic video material on Youtube is the next link. May be this film needs some extra explanation. In the 1920's the discimination between viruses and bacteria was made with a filter. Ceramic filters with pores of 0.5 micrometer or smaller were used to filter the culture fluid. Viruses are normally smaller than these pores and are isolated from bacteria that do not pass the pores. Not knowing the nature of these viruses they simply called them 'filterable particles'. Because Rife did really build his own microscope that was more powerful than the current microscopes, he saw that bacteria in his lab did develop under specific conditions these filterable particles. After isolation he injected rats with these filterable particles and they got the same diseases as when injected with the normal variants of the same bacteria. He did the same procedure with cancer. He isolated from cancer cells the filterable particles and injected them again in other rats. They developed cancer. The good thing however, is that he also built a device that emitted radio frequencies. Adjusting the frequency killed the germs as seen under the microscope. He noted the corresponding frequency for the type of bacteria and that list is still to be found on the web: http://rifevideos.com/dr_rifes_true_original_frequencies.html. He did a test with 16 terminal cancer patients; irradiated them for 5 minutes three times a week with his machine and they all recovered after 4 months. Nobody can ask for a patent on a frequency, so thats were the story ends. He got problems with the AMA, because he did not want to pay for advertisements. The final result was that he was expelled from the medical society and did die in poverty, frustrated and addicted to alcohol. Lesson 7: Everything in our body is processed electronically. A long time ago a video was showed in a tv program on cancer. Scientists filmed under the microscope the bloodflow in a bloodvessel surrounding a tumour. The radioactive labelled chemomolecules could be followed on the screen to see how they destroy the tumour. What we saw was shocking. The chemomolecules took a long way around the tumour without touching it. It was as if an electrostatic charge from the tumour cells repelled the chemo. After passing the tumour they followed the bloodflow again as normal; in the middle of the vessel. Only around the tumour they took the most distant route to avoid contact. This effect is now seen as chemorepulsion; see the article on Wikipedia: https://en.wikipedia.org/wiki/Chemorepulsion. Like we hear in Startrek Dr. Spock saying: "Scotty shields up". 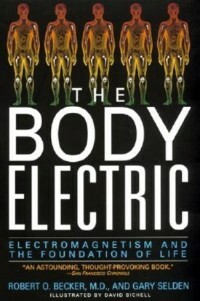 Dr. Robert O. Becker wrote a book on his findings as a surgeon with the title: "The Body Electric". It is available in nearly all bookstores. Becker found that regeneratiion of a wound is stimulated by the electical influence of nerves. He saw that salamanders can regenerate a lost limb in a short time. But after cutting the nerve endings no regeneration took place. When connecting a microampere current from a miniature battery, regeneration was restored. In one of the chapters Becker proves that bones react the same as piezoelectric cystals under bending forces. Amazing stuff. Do yourself a favour and order this book: It is less than 15 euros at bol.com. Click on the icon to see the price. Theoretical physicist Roger Penrose and anaesthesiologist Stuart Hameroff collaborated to produce the theory known as Orchestrated Objective Reduction (Orch-OR). 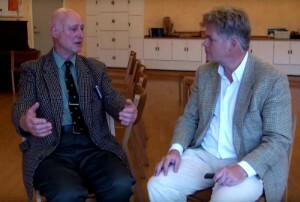 Penrose and Hameroff initially developed their ideas separately and later collaborated to produce Orch-OR in the early 1990s. (follow the links to Wikipedia) Formerly they were ridiculized, but recently they found more evidence for their theories. All cells, and especially neuron cells have microtubuli that are built in a configuration that makes them coherent and programmable by frequencies. Research in India did show extensive proof that microtubuli can be made artificially in a lab. And they show to be formatted with frequencies, Superconductivity at room temparatures. A major step forward in understanding quantum bit computing in biological systems. 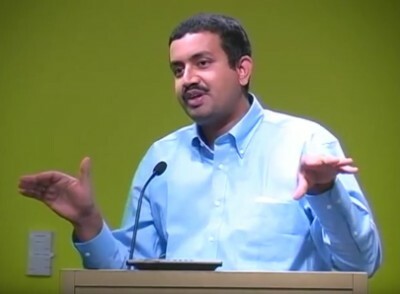 Take a look at this brilliant indian researcher on Youtube. Lesson 9: If on earth life so much is influenced by electrical forces and frequencies, could that be the effect of forces in the Universe? Yes, that could very well be the reason. The complete structure of the Universe is dominated by electrical forces. Although many scientists still believe in the idea that gravity is the major force in the universe, new evidence confirms that electrical forces are the main cause behind the origin of the stars and galaxies. But that is no wonder, because the formulas that define gravity and electrical force are nearly the same, except for a fixed factor of 10 to the power of 34. Regarding the fact that more than 99% of all visible matter is in the plasma state. See the comments on Plasma Universe.